Well it seems that the upcoming Samsung Galaxy S6 Plus is all but confirmed now (not that it was really in question anymore) but it seems the name is being changed just slightly. Samsung has applied and been granted rights to trademark the name “Galaxy S6 Edge+” in the USA as discovered by the guys over on GalaxyClub. 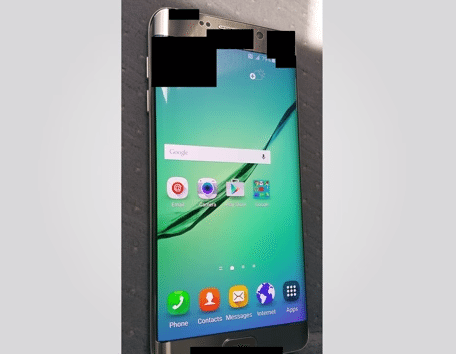 In reality, the name is more fitting than “Galaxy S6 Plus” as the rumoured device is expected to sport the same dual-edged curved display that uniquely separates the Edge from the Plain Jane S6. Again, we don’t have any clear cut time frame for a release but everyone seems to think it’ll be announced soon. Specs also remain unconfirmed but the latest rumours have it sporting a 5.5″-5.7″ display, Snapdragon 808 processor, 3GB RAM, 32GB of internal storage, a 16MP camera, 5MP front facing camera and a 3000 mAh battery. The post Samsung Trademarks Galaxy S6 Edge+ Name In USA appeared first on Android in Canada Blog.